The traditional legal outcome without a parenting plan is: One parent wins the child custody. The loser gets visitation rights only. Making decisions about where children will live is one of the most difficult tasks of parents going through a separation or a divorce. The idea of no longer being with your children all the time or even the thought of losing your children is scary. However, good parenting isn't a game or a contest. With a solid plan, parents can take a different, more child-friendly approach to the legal negotiations. Nobody, not even judges or psychologists, possess special wisdom or mysterious tests that tell you what is best for your children. You, the parents, are in the best position to make these decisions. Remember just one thing: The parenting plan is about your children and your responsibilities as parents, not about your rights. Simply put the judges on the sideline by entering into a collaborative divorce. A parenting plan spells out a clear, specific schedule for children as well as guidelines for each parent's co-parenting responsibilities and role in decision making. When you start constructing a parenting plan, there are several key issues you need to consider. A parent who understands basic child growth and development knows what to expect in terms of when their child should be reaching their developmental milestones. The purpose of the parenting plan meeting is to evaluate and review the current plan. Does it work? Is it practical? Does it bring the desired objectives? Are there any problem area's? Are the children happy with it? What is the ideal frequency of a parenting plan meeting? Read on..
Is parenting for you getting harder every month? Difficult children put a lot of stress on the family relationship and on your marriage. With positive relationships family life is so enjoyable. Join a Parenting Class. Your co-parenting partnership style is critical to making any parenting plan work. 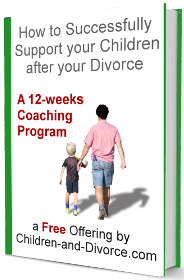 There are different schedule needs for parents with a cooperative, distant, or an angry divorce. You have many more options for children of a given age – and over time – if you can to develop cooperative, businesslike relationship with your children's other parent. Read on..
No matter the age of the children you are coparenting, a consistency in the routines at both homes is important. This does not mean everything must be exactly the same everywhere. You should keep your own style, but there should be this comfort level of consistency for your children. More about coparenting. There are 5 types of divorced parents. These 5 types are: Perfect Pals, Cooperative Colleagues, Angry Associates, Fiery Foes, and Dissolved Duos. The first two are referred to as functional co-parenting. The next two are dysfunctional relationships that can manage parallel parenting at best. The Dissolved Duos consists of 100% solo parenting. More details about divorced parents. Communication between the ex-partners must focus on the children. It must be peaceful, consistent, and purposeful. Learn more about divorced parents communication. The divorced parents syndrome is as much a syndrome for the adult children of divorced parents as for the divorsed parents. The article about the divorced parents syndrome contains a couple of scenarios to help you get through in the best possible way. Read on.. When you build your parenting plan, take some time to study the different child development stages. The needs of the children depend on the stage of their development. An emotional attachment to a primary caregiver in the first six years of life is very important. A disturbance in the relationship with the primary care giver in the early years can create problems in childhood, adolescence, and adult life. The understanding of the Child Development Stages can help divorced parents making decisions about their children. For divorced parents, the Children Learning Reading program is an excellent solution to improve your child's reading ability. Many children of divorce are lagging behind at school. 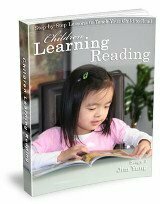 By improving your child's reading skills, you will help them to improve their performance. Read on..
A single parent is a parent who cares for one or more children without the physical assistance of another parent. Mostly they result from an unforeseeable occurrence, such as death, child abuse, child neglect, or abandonment by biological parents. Many factors influence how children develop with single parents. “Being both a child of divorce and also a Single Dad having to co-parent with my ex spouse a divorce situation tought me many aspects to myself, my relationships, and my life in general. There are dynamics to all of this. As the oldest son and being a teenager when my parents split, I had to take on the role of helping my mother, who we lived with at the time, as the man of the house. Not that I was asked to do this, but it felt natural to do so. It made me grow up at an early age and accept responsibilities that perhaps a teenager would typically not have. 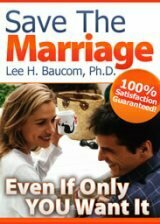 It also shaped my views on marriage a bit differently and although at the time, their divorce didn't affect me as much as it did my younger brother, when I went through my own divorce I began to reflect and see how my parent's split shaped me as I got older and in the end was one reason why I ended up divorced as well. For single dads, it is important to stay in the children's lives. Single dads must assure their children that they love them by taking an active role in their lifes. Single dads must also make sure that their own needs are met. A step mom has a special position in the parenting plan. These six steps help the step mom in her relationship with the children of her husband. Read on.. It is important to take good care of the relationship with your child when defining the parenting plan. The following section explains why and gives you tips about what you can do to optimize the parent child relationship. Why you should get visitation rights for young children. Divorce with children is complicated. In particular when the other parent gets the child custody, you should always negotiate visitation. Visitation should be covered in the parening plan. Here are some tips on how to obtain child visitation rights for young children. Why do you need to look at yourself first? A good relationship with your ex-partner is crucial to avoid your child refusing visitation. Continue reading about what to do when a Child Refuses Visitation? If one parent lives far away, additional difficulties arise. There are many tips and hints about how to cope with the distance. If divorced parents do not fight over the children but collaborate, long distance parenting can be successful. Divorce Parenting is done in many different ways. There is single parenting and co-parenting. As laid out in the United Nations Rights of the Child parents should focus and act in line with the best interest of the child principle. We discuss the main issues that are related to Divorce Parenting. The right parenting education helps your child of divorce to perform better at school. Once the school is chosen, you cannot influence very much what is going on inside. But you can shape the optimal conditions and environment for your children for the best possible performance at school. Here is a list of things you can do to help your child which you could include in your parenting plan: Parenting Education. The parenting after divorce is difficult. Emotions take over without realising it. You are angry, sad or disappointed. You feel betrayed. You might blame your ex for the break-up and for many other things. He or she might do the same. The fight is on. You might feel the need to keep your children away from your ex spouse. However, you should stay away from the blame game and you should not keep your children away from your ex. Instead, you should put your emotions aside and help your children cope with their emotions instead. Read more about parenting after divorce. This article focusses on parenting advice for divorced parents. Although there are many parenting tips and do's and don'ts, we present you with a few important issues that are often overlooked. 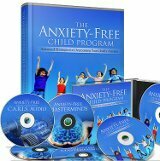 If you care about your children and if you want to have a new and bright future for them and for yourself, please continue reading in Parenting Advice. Do you being a divorced parent spend enough parenting time with your children? What is enough time? How can you spend time with your children? Big adventures like a skying holiday are fine, but most of the time can be found in daily life. Please read more about parenting time. your children of divorce should feel safe and secure. Only then they can develop socially and emotionally in a healty way. In this article, we discuss the ideal environment, schools, bullying, the neighbourhood, domestic violence, watching tv and alcohol. 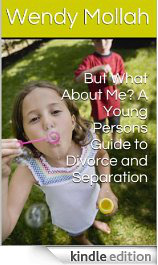 Read on in Divorce Protecting Children. Parenting teens can be challenging, as many parents can confirm. Teens often think they are as adult as their parents. There body matures quickly and the hormones are starting to do their work. The very child in it is slowly disappearing. Read on in Parenting Teens. If you're looking for a parenting resource on positive parenting tips and advice to help you make parenting a journey of both pleasure and high awareness, you might like this parenting article by Positive Parenting Ally.